William (Bill) H. Gates is chairman of Microsoft Corporation, the worldwide leader in software, services and solutions that help people and businesses realize their full potential. 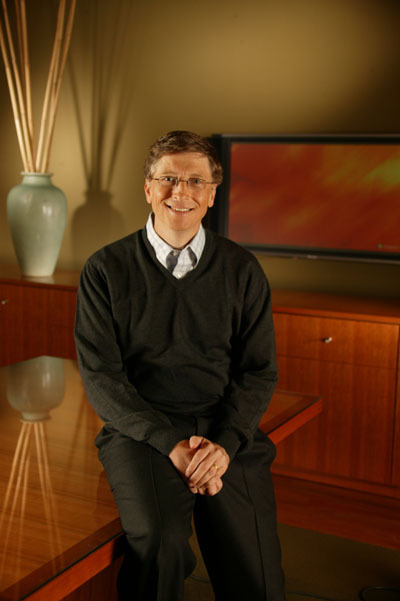 On June 27, 2008, Gates transitioned out of a day-to-day role in the company to spend more time on his global health and education work at the Bill & Melinda Gates Foundation. He shares his thoughts about the foundation and other topics on Gates Notes, a Web site launched in January 2010. Gates continues to serve as Microsoft's chairman and as an advisor on key development projects. In June 2006, Ray Ozzie assumed Gates' previous title as chief software architect and oversees technical architecture and product oversight responsibilities at Microsoft. Craig Mundie assumed the new title of chief research and strategy officer at Microsoft and is responsible for the company's research and incubation efforts. In 1973, Gates entered Harvard University as a freshman, where he lived down the hall from Steve Ballmer, now Microsoft's chief executive officer. While at Harvard, Gates developed a version of the programming language BASIC for the first microcomputer - the MITS Altair. 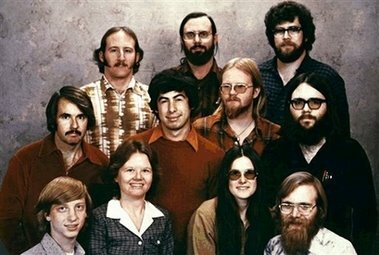 Shown top row, from left, are: Steve Wood, Bob Wallace and Jim Lane; second row, Bob O'Rear, Bob Greenberg, March McDonald and Gordon Letwin; and front row, Bill Gates, Andrea Lewis, Marla Wood and Paul Allen. 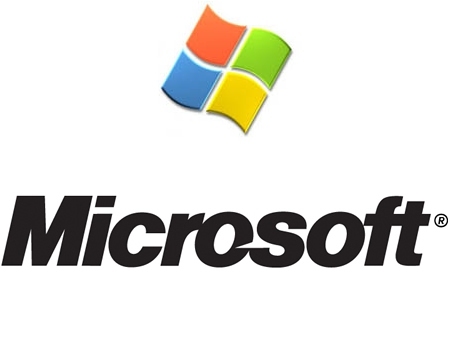 Under Gates' leadership, Microsoft's mission has been to continually advance and improve software technology, and to make it easier, more cost-effective and more enjoyable for people to use computers. The company is committed to a long-term view, reflected in its industry-leading investment in research and development each year. In 1999, Gates wrote "Business @ the Speed of Thought", a book that shows how computer technology can solve business problems in fundamentally new ways. The book was published in 25 languages and is available in more than 60 countries. "Business @ the Speed of Thought" has received wide critical acclaim, and was listed on the best-seller lists of the "New York Times", "USA Today", "The Wall Street Journal" and on Amazon.com. Gates' previous book, "The Road Ahead", published in 1995, was at the top of the "New York Times" bestseller list for seven weeks. In addition to his love of computers and software, Gates founded Corbis, which is developing one of the world's largest resources of visual information - a comprehensive digital archive of art and photography from public and private collections around the globe. He is also a member of the board of directors of Berkshire Hathaway Inc., which invests in companies engaged in diverse business activities. Philanthropy is very important to Gates. He and his wife, Melinda, started a foundation in 2000 to help reduce inequities in the United States and around the world. The Bill & Melinda Gates Foundation supports philanthropic initiatives in the areas of global health and learning, with the hope that in the 21st century, advances in these critical areas will be available for all people. To learn more about the foundation, visit www.gatesfoundation.org. Gates was married on Jan. 1, 1994, to Melinda French Gates. They have three children. Gates is an avid reader, and enjoys playing golf, tennis and bridge.